I first watched Hirokazu Koreeda’s Nobody Knows after it was released in the U.S. I remember this being an emotionally draining viewing experience. This cinematically simple yet absolutely gut-wrenching film about 12-year-old Akira who is left to care for his three younger siblings when their mother abandons them lingered in my mind. Even though I found Nobody Knows to be moving, the film did not launch any sort of study of Koreeda or Japanese cinema on my part. 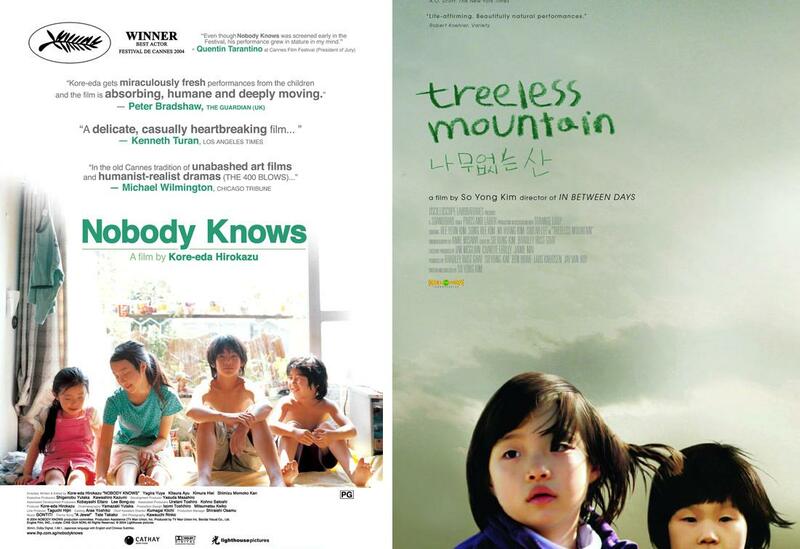 I revisited Nobody Knows five years later when I was researching independent filmmaker So Yong Kim’s 2006 film, In Between Days. Kim and her husband, filmmaker Bradley Rust Gray (The Exploding Girl) have a wonderful creative partnership that has produced some of the best American independent films of the last five years. They often hold various roles on each other’s projects. Ben Howe, a producer on their films, has explained, “It’s almost as if [Kim and Gray] think together. It’s definitely one or the other’s film, but every decision is made with the other one close in mind.” This only strengthens Gray and Kim’s commitment to making great films no matter the struggle to get them made. In Between Days was made over a two-week period on a limited budget. The result is an aesthetically beautiful and poetic portrait of a teenage Korean girl as she struggles to assimilate to American culture. It’s an overwhelmingly naturalistic representation of female existence and teenage isolation. Nobody Knows comes into focus when examining So Yong Kim’s second feature Treeless Mountain. Both films have strikingly similar themes. Like Nobody Knows, Treeless Mountain deals with children who have been abandoned. The film follows two sisters, ages 6 and 4, as they deal with their mother’s absence and are sent to live with various family members. The story is loosely based from Kim’s childhood experiences in South Korea. When Kim began to work on this film, she sought out the advice of Koreeda about directing children and shooting in 16mm. With the help of a translator,Koreeda gave a long and detailed answer. At the end of the conversation, the translator turned to Kim and said, “Eda-san says 16mm very good!” Her question might not have been answered but there is no doubt the influence that Nobody Knows had on Kim and her approach to Treeless Mountain. During the 2009 Tribeca Film Festbaival, Gray and Kim interviewed Koreeda about his 2009 film Still Walking. It’s a fascinating and revealing conversation between the three filmmakers about Koreeda’s background, influences, and techniques. One of So Yong Kim’s questions, I think, shows how Koreeda’s work has influenced her approach to filmmaking. So Yong Kim: I think interviews are mostly for other filmmakers to learn from directors. Back when it came out, I read an interview about Nobody Knows, because I wanted to learn how you made the film and worked with your actors, and with the camera, etc. The question I have about Still Walking is about working with an ensemble of professional actors. How is that different than working with nonactors, like in Nobody Knows? Hirokazu Koreeda: In the case of Still Walking, I wrote a very, very detailed, hammered-out screenplay, and then I read through it with the actors, and then based on that I revised the script. Then I did blocking on the set, and then I had the actors read, just to make sure they could read the lines in the time it took to walk across the set. I did all this before shooting to ensure that the atmosphere would look lived-in by the actors. So, I took the opposite approach with actors in opposite situations. With the veterans, I timed it within an inch of its life to make it look natural and lived-in, and with the nonactors, I did it 100% spontaneous to make it look lived-in and spontaneous. So Yong Kim: Which way do you prefer to work? Hirokazu Koreeda: I don’t really have a particular filmmaking style or method. The goal is finding how to make a particular character in a particular film or setting look as charming and appealing as possible. So whatever it takes. Personally, I prefer the Nobody Knows method, but there is the guilt that I am stealing laughter and smiles from children for my movie. I have genuine guilt about that, and I had none of that for Still Walking, because I hadn’t stolen anything from anybody. Even though Koreeda says that he doesn’t have a particular filmmaking style or method, here Koreeda is broadly discussing a neorealist approach to filmmaking. You can see how Koreeda’s style, however you may define it, has influenced Gray and Kim’s work. These three filmmakers aim to create the most realistically feeling films imaginable, as if life is unfolding on the screen as it naturally occurs. More importantly, from Koreeda’s work and even this interview, you can see how far reaching the director’s lens is when it comes to who his work and his filmmaking techniques influences stateside. 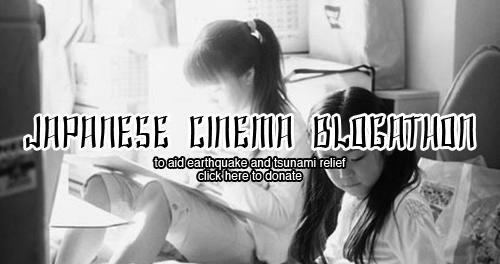 This post is part of the Japanese Cinema blogathon hosted by Cinema Fanatic and Japan Cinema. Please donate if you can. I still need to see Still Walking. Thanks for the reminder!